As per Dennis Hanks (cousin of Abraham Lincoln): “Seems to me now I never seen Abe after he was twelve that he didn’t have a book in his hand or in his pocket. He’d put a book inside his shirt an’ fill his pants pockets with corn dodgers an’ go off to plow or how. 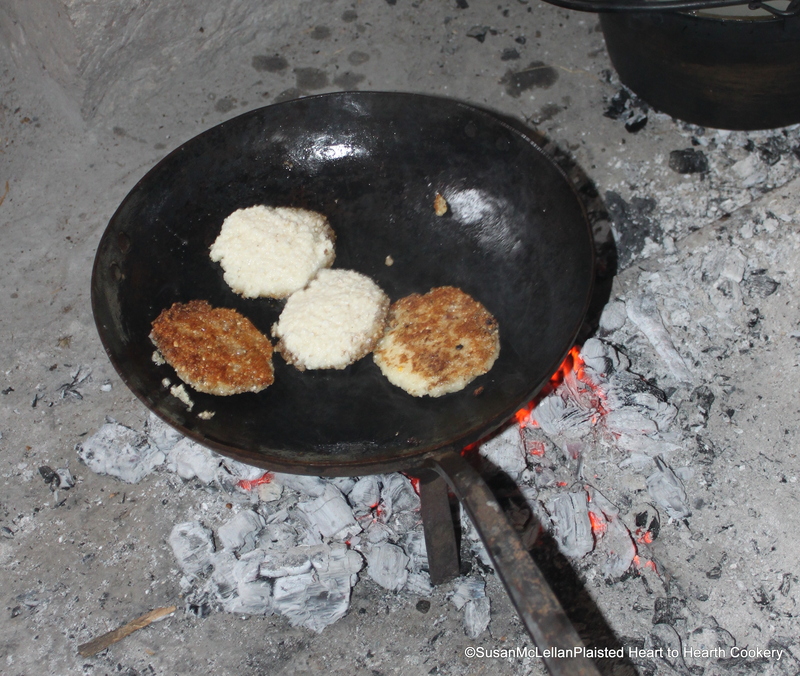 When noon came he’s set under a tree an’ read an’ eat.” These corn dodgers were made with coarsely ground corn mixed with hot water, salt and a very small amount of butter and fried until very brown and hard.